As a symbol of good fortune for the Chinese New Year, red envelopes are given to loved ones with a gift tucked inside. On Feb. 5, stop by the popular fast-food Chinese restaurant and pick up a red envelope with a paper fortune teller and other treats at participating locations. 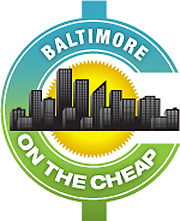 There are 10 locations in the Baltimore area. Find your closest one here. The post Get free chicken egg roll and Dr. Pepper at Panda Express appeared first on Living On The Cheap.